Carbohydrates In Food | Why And Which Our Body Needs ? Maybe, we shouldn’t underestimate the carbohydrates in food products? The carbs in food products are not less important than proteins or vitamins. Yet, it all depends on what carbohydrates we are talking about. It is believed that most useful carbohydrates are those that are “complex”, or “slow”. Foods contain different carbohydrates. And they are not all equally harmful. In fact, they are essential for our body, because they give us energy, thanks to glucose, into which they split. Carbohydrates in foods are determined slow or fast depending upon the speed of their processing into glucose. The substance that is responsible for their processing is insulin. If you want to lose weight or just watch your health, then you should reduce or eliminate fast carbohydrates from your nutrition. They are assimilated instantly and cause a sharp rise in blood glucose levels. Then, the moment you start wasting even a small amount of energy, sugar drops in the same sharp manner. This causes acute hunger, despite the fact that you have eaten recently. The organ that suffers the most because of the frequent use of fast carbohydrates is your pancreas. It has to either produce plenty insulin within the shortest time or, on the contrary, stop in anticipation of the next portion. This mode wears its cells, and may even lead to cancer. Another “side effect” is a sharp mood change. It is caused by the hormone serotonin, the production of which depends on the fluctuations of your blood sugar level. At the same time, slow carbohydrates do not cause pancreas overloading. To process these, it is working in a normal mode, producing insulin gradually. You also don’t get surges in blood sugar levels, so your mood is leveled, and hunger comes only when the time is right. The factor that helps determine, whether carbs are fast or slow, is the glycemic index. It shows the speed, at which blood sugar concentration increases after the consumption of a particular carbohydrate. The higher the speed, the higher the glycemic index, the faster the carbohydrate. It is unlikely that you will carry a table with glycemic index of various foods every time you go to the grocery store. So, it will be useful to remember the main sources of fast or slow carbohydrates. This will help you to easily navigate between the shelves. 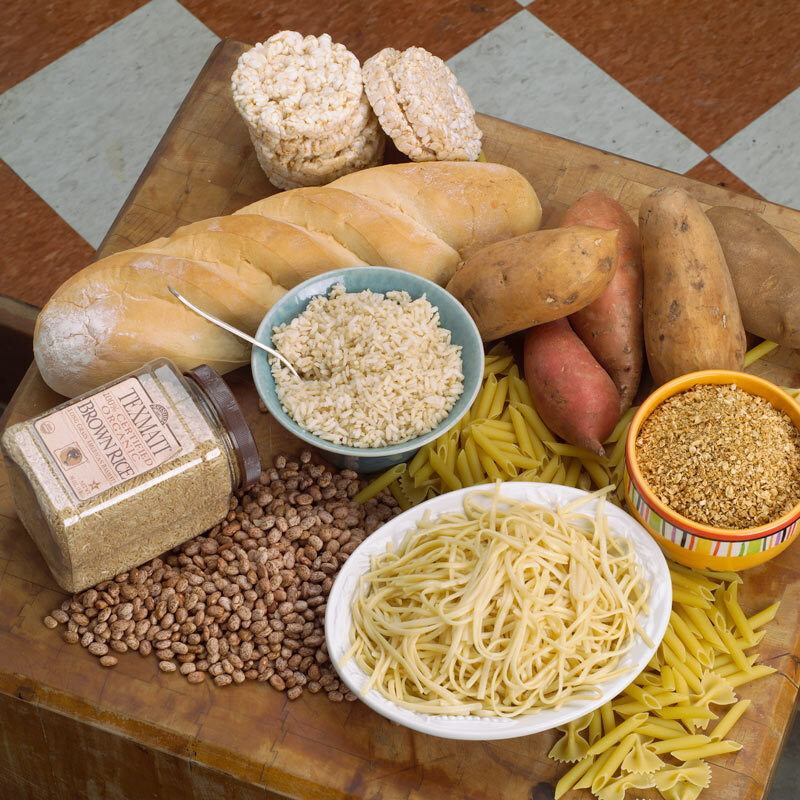 Fast carbohydrates in food. If you think that the main “evil” carbohydrate is pure sugar, you’re wrong. Slow carbohydrates in food. Raw vegetables and fruits, as well as whole grains supply your body with the necessary energy and have a low glycemic index at the same time. Remember that fruit, when going through the preservation process, are easily enriched with sugar that easily converts into glucose, which increases their glycemic index. The same applies to vegetables that have been subjected to cooking. After any treatment, they become fill up with easily digestible starch. let porridge swell in boiling water, instead of boiling. You can also lower the index of foods by consuming them with animal and dairy proteins. This slows down the glucose release rate. Healthy eating involves getting all substances a human body needs. Lack of any substance can negatively affect your health. If you want to look after your health, and at the same time get the energy you need from food, choose slow carbohydrates. Of course, you should consume these in reasonable quantities and in balance with other nutrients.